Zachary: "More Cookies... More Cookies... More Cookies..."
Daily Dog Challenge "512. Adorned"
Our Daily Challenge - Mar 26, 2012 - "Movement"
Even Miss Kitty is joining in. Looks like the Pet Modeling Union is united on this front. What's a photographer to do? Guess it's time to up their wages. Did Henry and Zachary make those signs? I have a feeling the certainly helped! That's a GREAT pix!!! We are so with you Henry & Zachary. My mantra is no treat no pose. Have a wonderful Wednesday. Power to the Pooches! No Treats?!? Definitely no tricks. Bwaaaa ha ha ha! I never thought of that kind of movement! That is awesome and hilarious -- again! 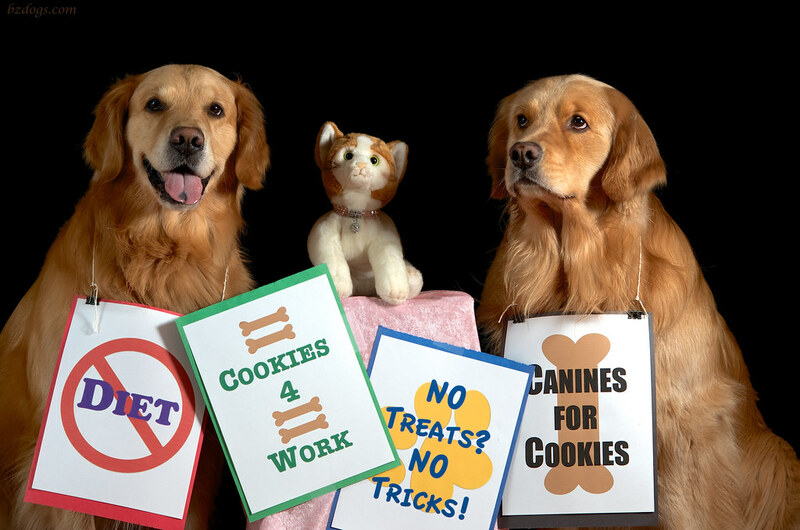 We agree diets are bad and there should be cookies for everyone! Love the Golden 'smiles' in the second picture! Gotta love a happy activist! Aha! This pawsting, sorry, posting, really took the biscuit! Arf! Arf! 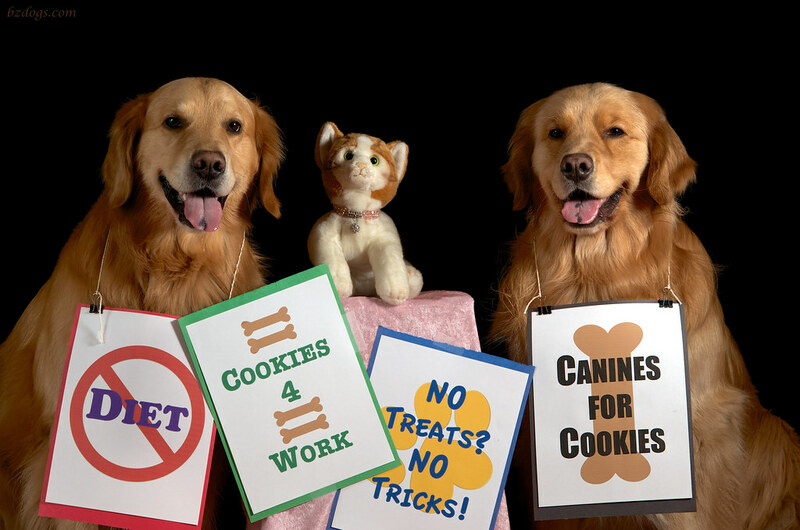 You're in trouble with the pet modeling union? Oh dear! Don't give in to their demands! It will only get worse! Miss Kitty is the mastermind behind this, isn't she?